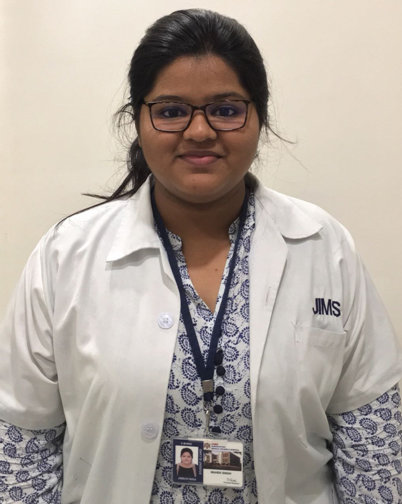 Many of us being well aware of the effects that a conventional synthetic sanitary napkin can cause, we simply neglect it and go on with our daily lives. Forgetting how it not only sheds its harmful toxins on our body but also causing a major chunk of pollutant in the environment. Most of us grew up with disposable feminine hygiene products. It seemed that the only option was to go to the drugstore and purchase what was available there: plastic backed, bleached out, white cotton disposables, sometimes with a funky perfume. Not only did the cost of buying them month after month quickly add up, but they could be very uncomfortable to wear. WHAT ARE SOME OF THE HEALTH ISSUES FOR WOMEN WHO USE DISPOSABLE MENSTRUAL PRODUCTS? anything your skin comes into contact with can enter your bloodstream in less than 30 seconds and be distributed throughout your body. Once these chemicals find their way into your body, they tend to accumulate over time. This is why attention needs to be paid to the ingredients used in tampons and sanitary pads. Most pads have a top layer that feels like cloth but is in fact a plastic woven sheet, plastic wings and adhesives and super-absorbent polymer gels—that soak up the flow—are comprised of plastics. Usage of these for longer durations can cause cervical cancer, yeast infections, UTI’s, miscarriages and even birth defects. Synthetic fragrances, odor neutralizers and other potentially hazardous ingredients. – The WHOclassifies dioxins as a highly toxic environmental pollutant and health risk. 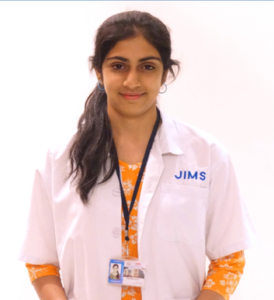 Bacteria and fungus toxins – Synthetics and plastic also restrict the free flow of air; can trap heat and dampness, potentially promoting the growth of yeast and bacteria in your vaginal area, a possible cause for vaginitis. Let us start with some simple facts: a woman in her menstruation lifetime will generate around 150kg of disposable sanitary waste. Just one disposable pad has the equal amount of 4 plastic bags and takes around 800 years to decompose in landfill. If they are burned on the other hand harmful toxins are released into the atmosphere. These plastic bleached products can be the cause for allergic reactions and even affect the reproductive, glandular and developmental health of women. 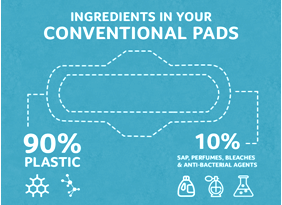 Many thoughtful manufacturers have come together in the making of CLOTH PADS, to sideline these hazardous effects caused to the Mother Nature and our bodily functions. Cloth pads were the traditionaly practiced menstrual measures used a few decades’ ago before the introduction of today’s synthetic sanitary napkin. Cloth pads can cost more than a pack of disposable sanitary pads, but they last for a very long time. Imagine not having to spend another rupee on pads – for years! In addition to saving you money over the long run, reusable pads are more comfortable and are better for the environment. Cloth pads are made of cotton flannel with a thin layer of leak proofing PUL (polyurethane laminate) on the bottom layer to ensure a safe feeling. 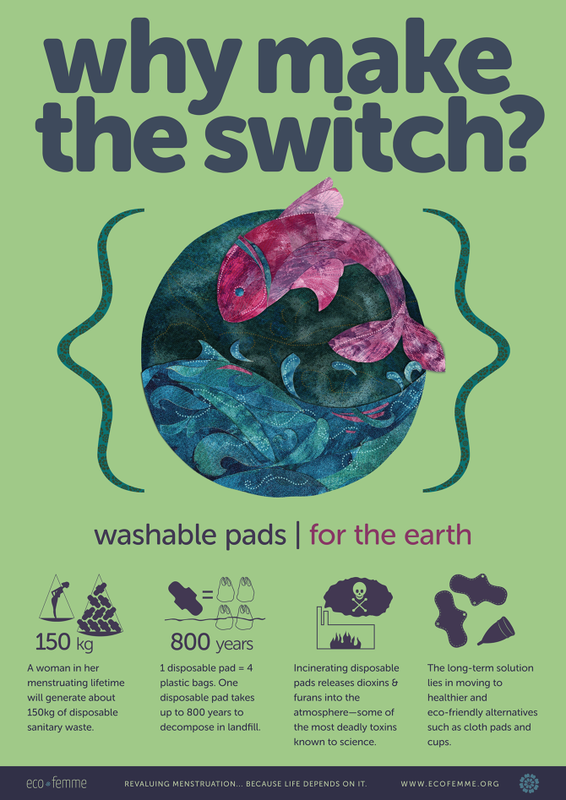 Cloth pads do not contact the skin with any plastics and therefore eliminate the risk of exposure to its potentially hazardous substances like dioxins, BPA, etc. HOW TO MAINTAIN CLOTH PADS? – When cloth pads are washed well, dried in direct sunlight and stored properly, they are perfectly hygienic. – Cloth pads are also a great option to reduce the monthly cost a woman spends on her menstrual products by less than half the rates in comparison to the conventional ones. Follow the # clothpadrevolution on instagram / facebook and be a part of the revolutionary movement across the globe. your body and the environment.